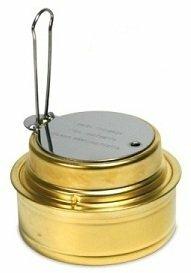 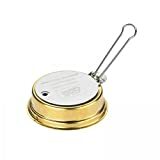 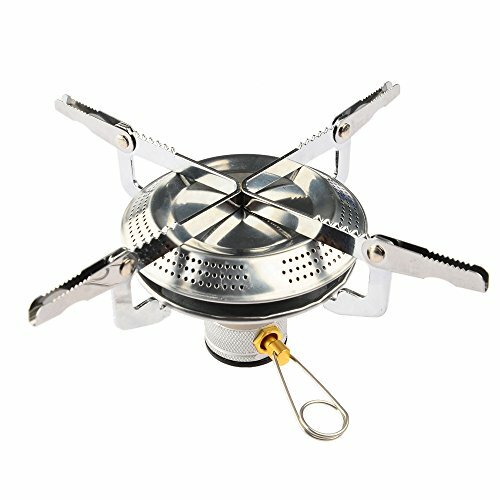 The Esbit Alcohol Stove & Trekking Cookset features two pots constructed from extremely light, hard-anodized aluminum and a brass alcohol burner. 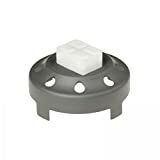 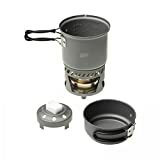 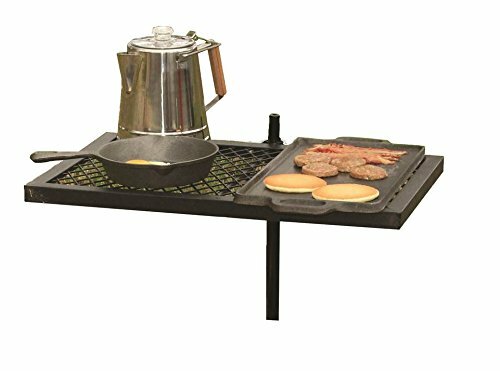 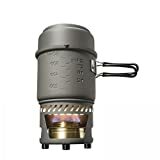 The stove kit comes with a stand, an alcohol burner, a solid fuel base, a 985-milliliter pot, a 470-milliliter pot, and a mesh storage bag that holds all of the kit. 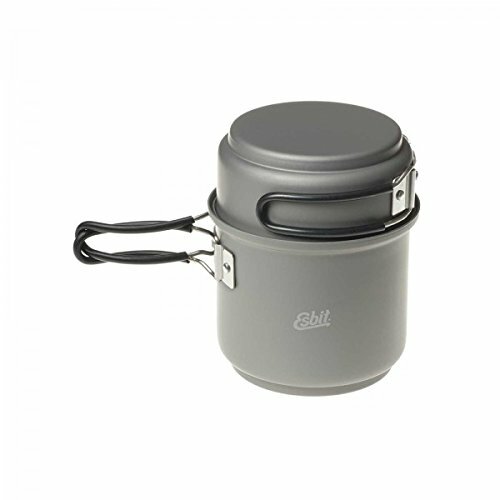 The cookset nests compactly in the larger pot and weighs just 15 ounces for lightweight trip. 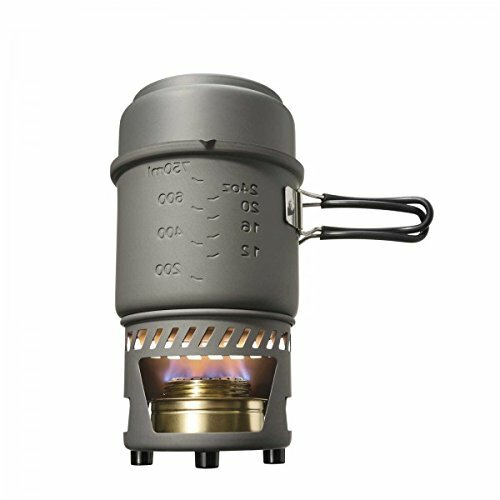 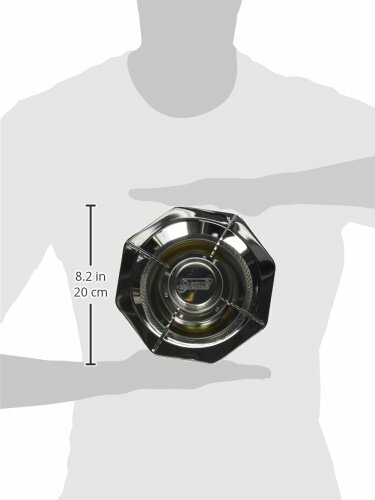 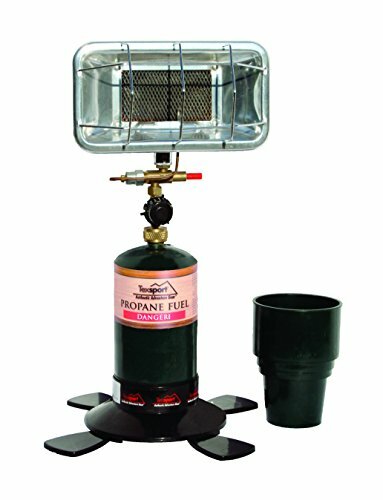 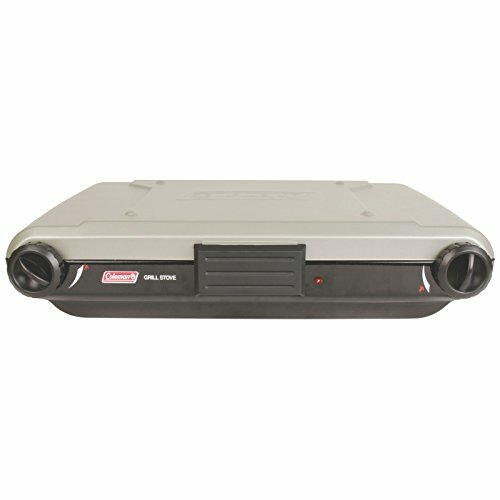 The included Alcohol Burner is has a sealable screw top that stores the fuel so that separate storage isn’t required and a variable flame regulator with a fold-away take care of. 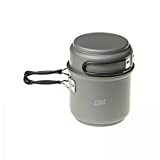 Both cook pots are equipped with two, lightweight, hinged grips made of stainless steel. 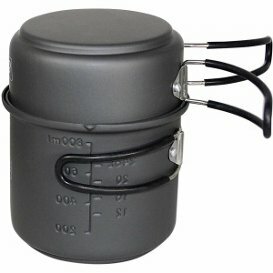 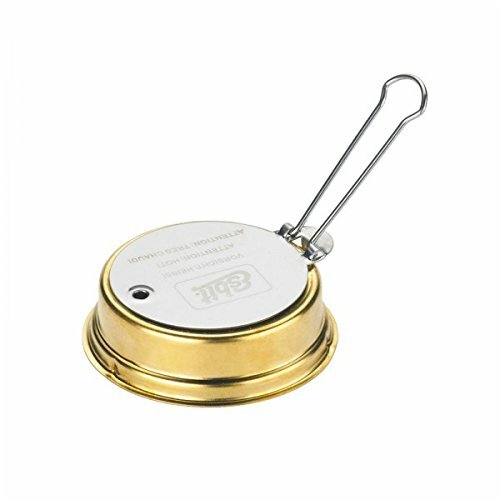 The larger pot includes a volume indicator in liters and ounces and the smaller pot serves as a lid for the larger pot.